Direct marketing: Don’t forget the envelope! Most marketers are only too familiar with CAP Code rule 2.1 which states that marketing communications must be obviously identifiable as such. But when it comes to direct marketing, what about the envelope in which the marketing communication is contained? The Committee of Advertising Practice (CAP) have boiled it down to three need-to-know rules of thumb. Some marketers have considered that having their corporate branding (SpicerHaart Estate Agents Ltd t/a haart and Darlows) on the envelope satisfies rule 2.1. Others have considered that including their company logo, web address and company name (Smart Pension Ltd), or a range of company logos (Vanquis Bank Ltd) is sufficient to alert the recipient to the marketing nature of the contents. However, in the three scenarios above, the ASA upheld complaints because it considered that, despite the company logos or branding, the marketer in each case had failed to make their commercial intent clear. Whilst the commercial content could be obvious if there are clear marketing claims on the envelope, for those envelopes that don’t have such claims the simplest way to comply would be to include text, in a clearly visible location, stating “This is a marketing communication from [company name]” (the company name might not be needed if the envelope includes a clear logo). However, care needs to be taken to ensure that this statement is sufficiently prominent and unlikely to be overlooked within the overall presentation of the envelope. The ASA has upheld complaints where such text was considerably smaller than text elsewhere on the envelope and when the text was located away from the other main text (JDM Marketing Ltd t/a Bright Life UK; Virgin Media Ltd). 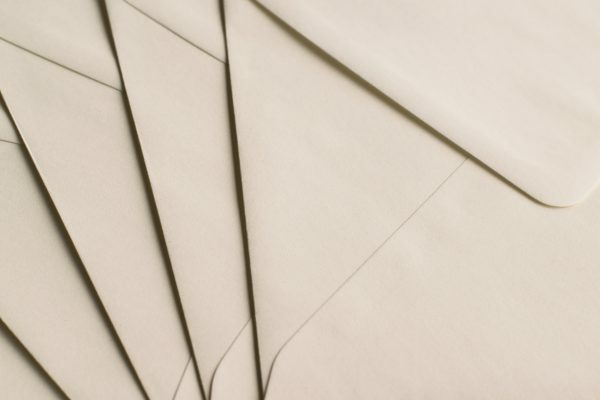 There are other issues to consider when producing mailings contained in envelopes, such as ensuring you don’t mislead about the importance of the contents or that you don’t cause undue alarm or distress. Be sure to visit CAP AdviceOnline article on Claims on Envelopes and Advertising Guidance on ‘Claims on Envelopes’ for more detailed guidance. For more general advice on how to comply with rule 2.1 of the Code, visit CAP’s ‘Recognising Marketing Communications’ AdviceOnline entry.